Samsung has added a new mobile to their Pixon range, with the launch of the Samsung Pixon12 M8910. The Samsung Pixon12 features a 12 megapixel camera, a 3.1 inch AMOLED touchscreen display, and a 28mm wide angle lens and combination Xenon and Power LED flash. 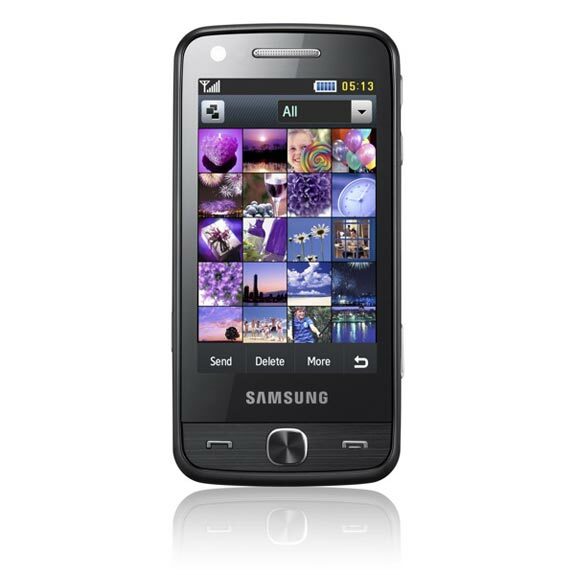 As well as being able to take 12MP pictures, the Samsung Pixon12 can shoot video at a 720 x 480 resolution at 30fps, it comes with 150MB of built in memory and the option to upgrade to 16GB via a microSD card slot. On top of that there is also a built in FM radio, it will go on sale in Europe at the end of the month, there is no word on pricing as yet.